Each year in March and early April, over 500,000 sandhill cranes arrive in the Platte River Valley on their annual migration towards Canada. As they have done for centuries, the cranes come to central Nebraska to rest and prepare for their journey north to breeding grounds. Along with the cranes, thousands of other migrating ducks and geese can be found throughout the area as well. It is quite a spectacle! 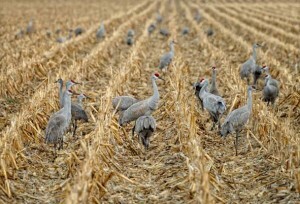 At dawn and dusk, the cranes leave and return to the Platte for night time roosting. The sights and sounds of the massive numbers of birds taking flight and landing is truly an experience like none other! We are fortunate enough to have the Rowe Sanctuary and the Crane Trust Nature & Visitor Center within a short drive of Wood River. 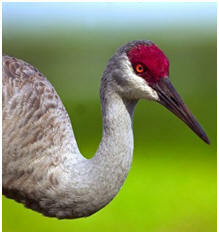 These organizations provide guided crane viewing tours from blinds on the banks of the Platte River. 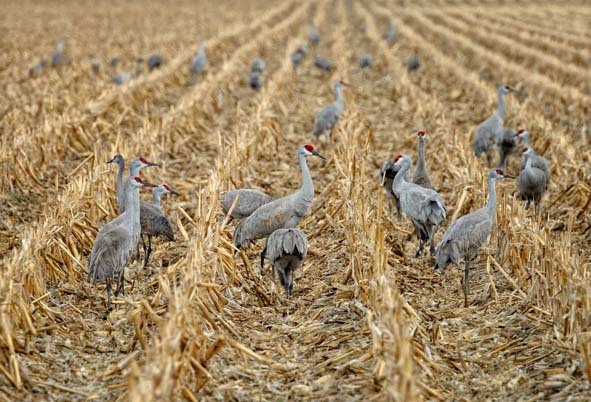 This is the only place in the world where sandhill cranes gather in these massive numbers,and is one of the last major migrations of the world. Visitors come from all over the world to take in the sights and sounds each spring. Check out what the Rowe Sanctuary and the Crane Trust Nature & Visitor Center have to offer!